The first World Happiness Report was published in April 2012, in support of the UN High Level Meeting on happiness and well-being. Since then, the world has come a long way. On World Happiness Day, March 20th, the World Happiness Report 2017 was launched once again and published by the Sustainable Development Solutions Network and is now supported by a grant from the Ernesto Illy Foundation. 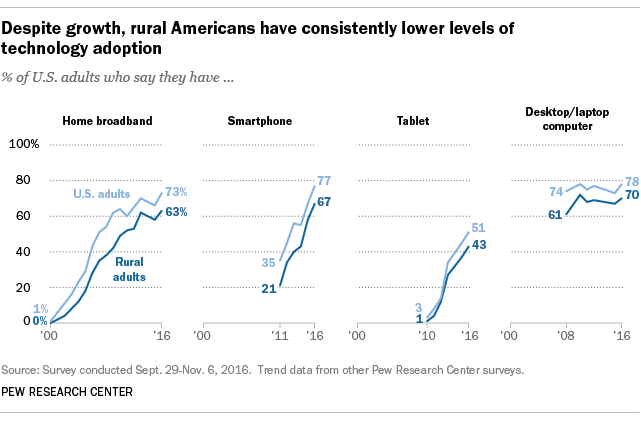 Rural Americans have made large gains in adopting digital technology in recent years, but they remain less likely than nonrural adults to have home broadband, smartphones, and other devices. Rural residents also go online less frequently than their urban and suburban counterparts. 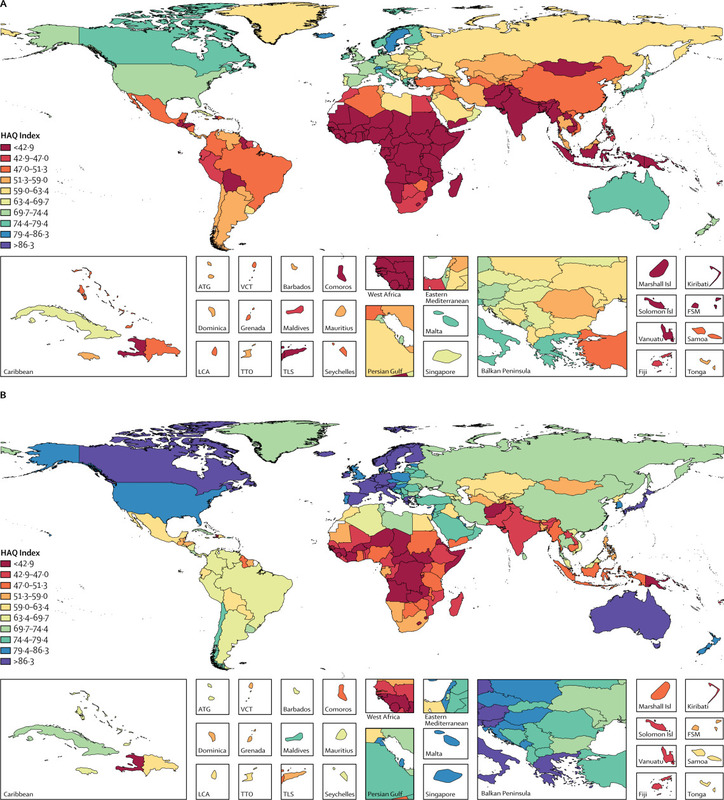 Wealthy countries such as Japan, Switzerland, and Australia have the highest life expectancies, though the estimates vary slightly depending on the methodology used. But a new study of 35 rich countries by researchers at Imperial College London and the WHO, and published in the Lancet, a medical journal, uses a combination of 21 statistical models, instead of just one. 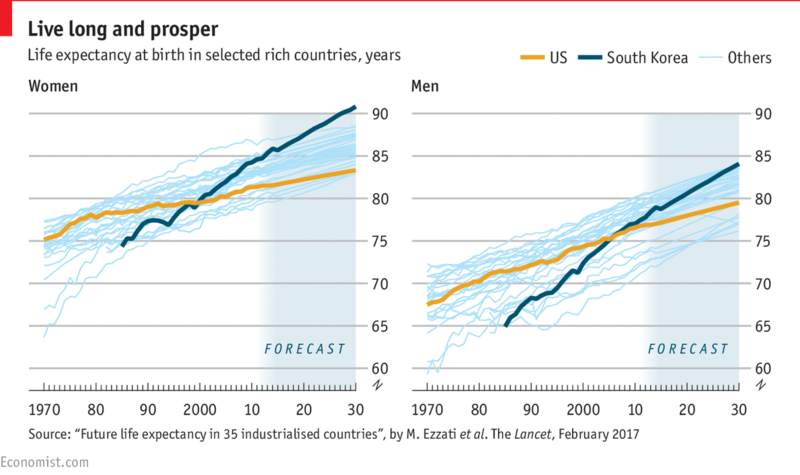 By 2030, they think, South Korea will have seen the biggest gains in life expectancy for both men and women. A child born in the United States in 2014 can expect to live 79.1 years, on average. But that figure doesn’t apply equally to all kids across the country. For example, a baby boy born in South Dakota’s Oglala Lakota County that year has a life expectancy of just under 62.8 years. Meanwhile, a baby girl lucky enough to be born in Summit County, Colo., can plan to live to the ripe old age of 88.5. We are into the home stretch for the 2017 CDS-NACDEP Conference in Big Sky, Montana June 11-14. We have over 365 registrants and individuals can register on-site. We have posted the Conference Program and updated the mobile app schedule. As well, our Room Share and Ride Share site is still active. We look forward to seeing you in Big Sky Montana! The International Association for Community Development (IACD) is pleased to announce that our next Practice Exchange will be in San Pedro de Atacama, Chile 11-19 October 2017. This study visit will allow community developers the opportunity to interact and learn from other communities' experiences of organizing, development, and empowerment. More info at the IACD website.